Montrose Personal Injury Attorney- Andrew L. Ellis Andy Ellis is one of the most successful Personal Injury Lawyers in California. Meet Mr. Ellis and find out how he helps his clients who have a personal injury case. http://ellisinjurylaw.com. Sudden injury is one of the most devastating occurrences in life, but it doesn’t have to be a financial calamity. Filing a personal injury lawsuit is one of the best ways to afford the best possible care and stay afloat financially during your recovery. 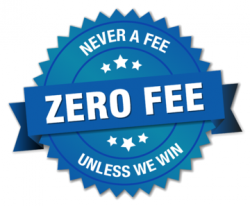 It costs you nothing to contact Montrose personal injury lawyers at the Ellis Injury Law Firm All our fees come out of the settlements and jury awards we win on our clients’ behalf. The immediate aftermath of a car accident, dog attack, slip-and-fall, or other adverse event can be a confusing time. How did the accident occur? Were you responsible for what happened to you, or was someone else? Could it have been prevented? 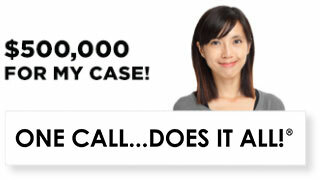 The investigative team at Ellis Injury Law is second-to-none. We find out what factors led to the incident, who is liable, and how to mitigate future harm. Having these answers will be an important step in your recovery. We have a look at the accident scene, track down eyewitnesses who can corroborate your story, seek expert opinions, and work to construct a winning legal argument. 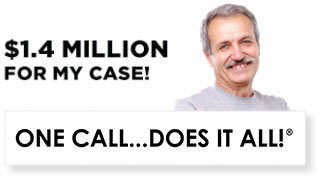 How much money are personal injury lawsuits worth? Even if an accident is determined to be partially your fault, you may still be entitled to compensation under California law. You will need to act quickly, as the deadline for filing a personal injury lawsuit is just two years from the date of the accident in California. There are some exceptions to the statute of limitations, but it’s best to work with an attorney from the very start. We have experience representing a diverse range of personal injuries. When a portable propane cylinder exploded, burning and scarring our client, we secured $4.1 million. When a truck driver fell asleep at the wheel and plowed into our client’s vehicle, we obtained $3 million. When a police officer shot our client in his home without just cause, we won $1.25 million for his widow. 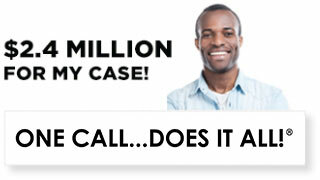 When a newborn was cut and injured during an emergency cesarean section, we settled for $1 million. When a woman slipped on a puddle at the movie theatre, we fought for $865,000 to pay for her surgery. When you need a compassionate and aggressive personal injury attorney, look no further than Ellis Injury Law. 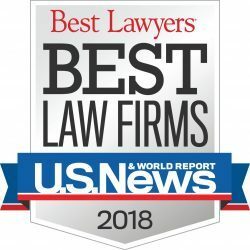 Our professionals have been recognized by Super Lawyers, the Multi-Million Dollar Advocates Forum, US News & World Report, TopVerdict.com, and the National Trial Lawyers. While we cannot guarantee a particular outcome, we can point to a track record of success. We only get paid if you get paid, so you can be sure, if we take your case, we will fight hard for maximum compensation. One common thread you’ll notice in our reviews is the attentive, family-based service we provide. We understand what a difficult time this is for you and your family. We are proud to serve the nearly 20,000 residents of Montrose, California. Many of our clients have been low-balled by insurance companies and disappointed with other law firms before coming over to us. Much of our business comes from referrals. The “personal touch” we provide sets our firm above the rest. We act not just as a personal injury lawyer, but as a friend – a friend with great knowledge of the law and local resources to aid in your healing, whether it be a doctor referral, transportation assistance, or connection with local charity groups. In fact, we do a lot of charitable donations as board members of the Los Angeles Trial Lawyers Charities. Personal injury accidents can happen to anyone. Hiring the right legal representative will help you in the days to come. Contact us for free counsel.